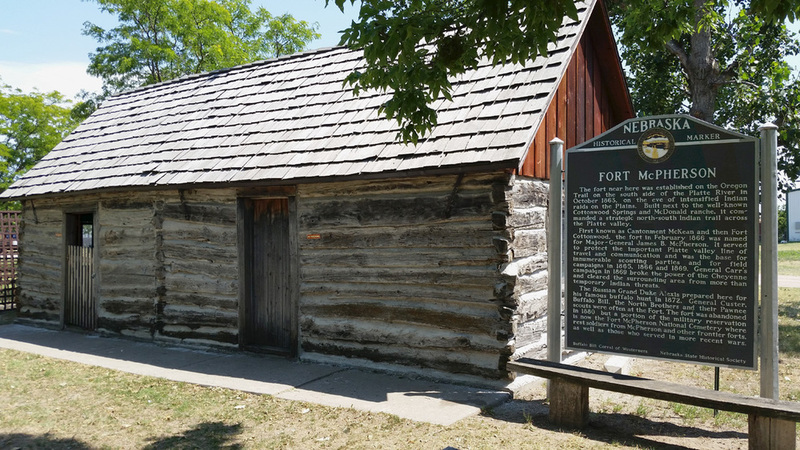 The fort near here was established on the Oregon Trail on the south side of the Platte River in October 1863, on the eve of intensified Indian raids on the Plains. Built next to the well-known Cottonwood Springs and McDonald ranche, it commanded a strategic north-south Indian trail across the Platte Valley. First known as Cantonment McKean and then Fort Cottonwood, the fort in February 1866 was named for Major-General James B. McPherson. It served to protect the important Platte Valley line of travel and communication and was the base for innumerable scouting parties and for field campaigns in 1865, 1866 and 1869. General Carr's campaign in 1869 broke the power of the Cheyenne and cleared the surrounding area from more than temporary Indian threats. The Russian Grand Duke Alexis prepared here for his famous buffalo hunt in 1872. General Custer, Buffalo Bill, the North Brothers and their Pawnee scouts were often at the Fort. The fort was abandoned in 1880, but a portion of the military reservation is now the Fort McPherson National Cemetery where rest soldiers from McPherson and other frontier forts, as well as those who served in more recent wars. 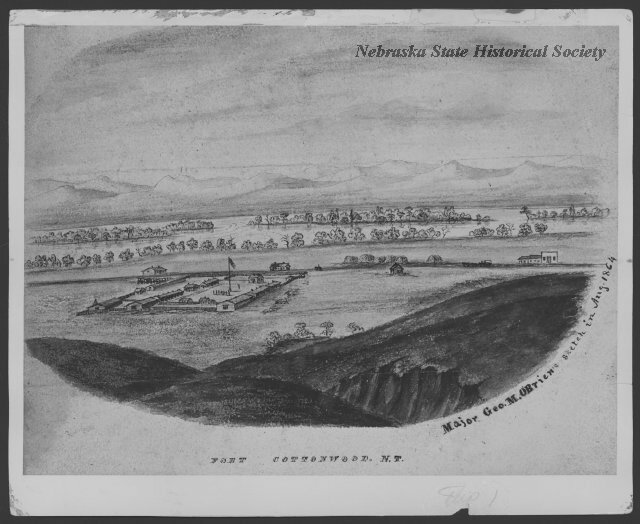 “Fort McPherson,” Explore Nebraska History, accessed April 19, 2019, https://mynehistory.com/items/show/347.